a memo on daily pleasures. 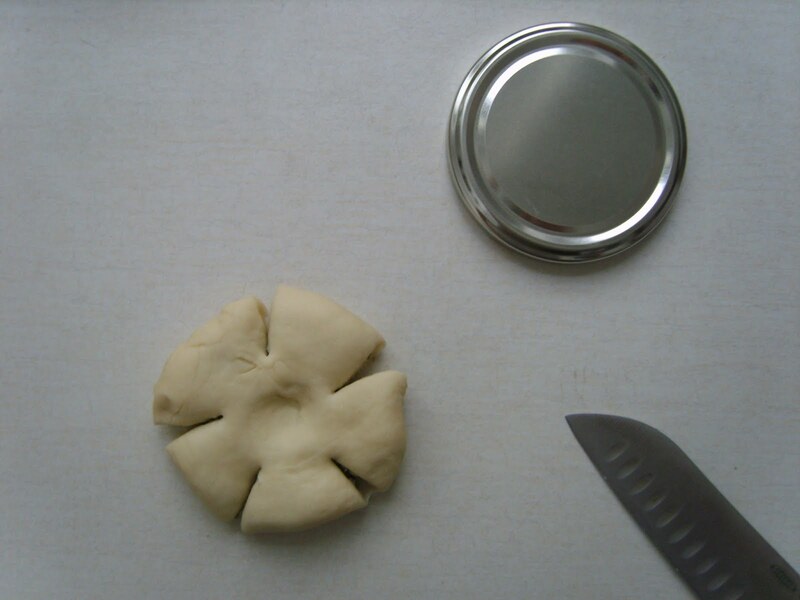 Sweet bean paste is (next to apples and nuts) my favorite filling for pastries. Because it involves no additional shortenings or diaries but something good for the body that one does not at all have to constrain ;) Long before the first black bean brownies became popular sweet bean paste was used in Asian cuisines for desserts, rice cakes and pastries filling. 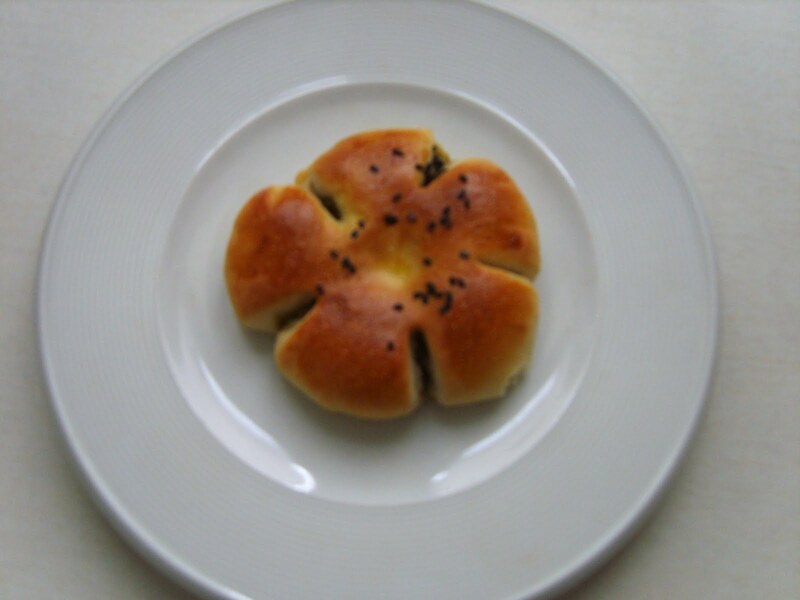 While Azuki Beans (the ones used for Mochi) are the most common, there are also pastries filled with Mung Beans (the ones used for Mung Bean Sprouts...) that yield to a nice green color. 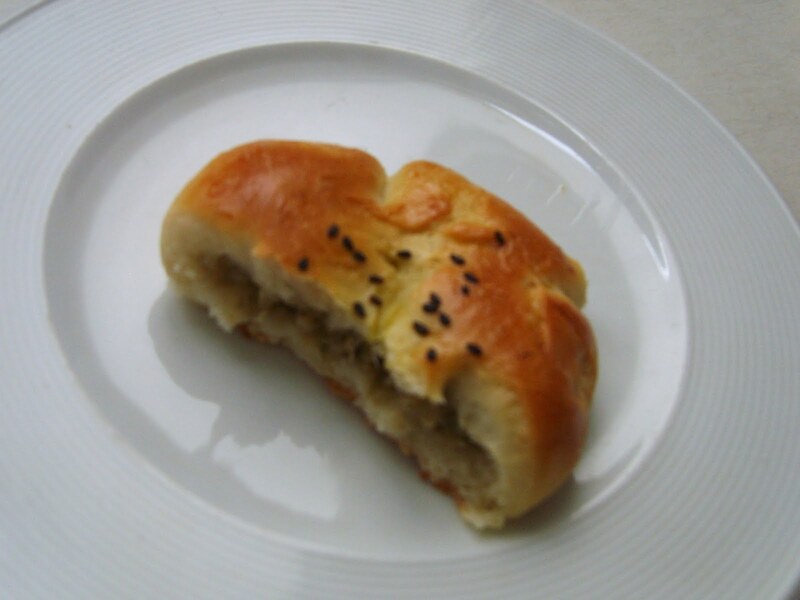 As I love the texture of Korean sweet breads - ultimately fluffy and soft so that they melt in the mouth, I was so happy to find a lot of trustworthy recipes in the www these days. Tracing baking recipes was not easy in former times. 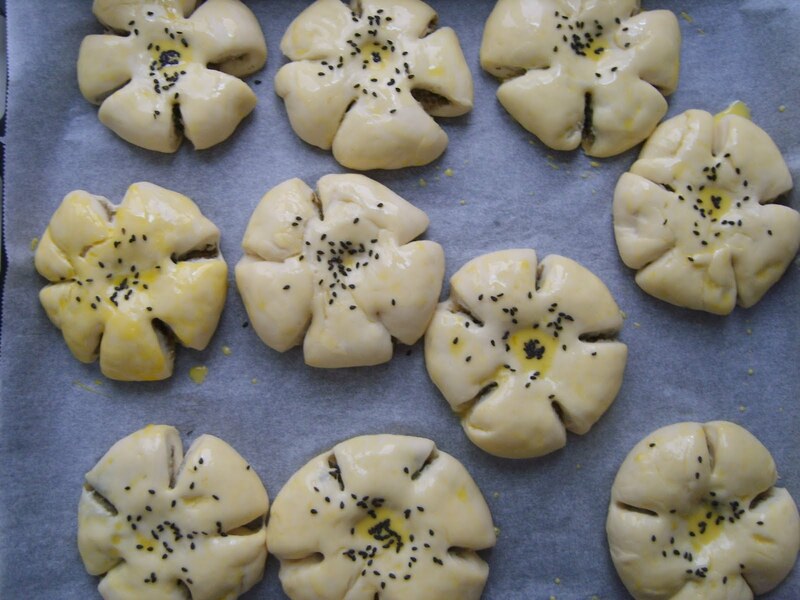 There were not many home-bakers in Korea, at least I have never come across such an Ajumma (the very useful word for referring to a friend's mum or the female vendor at the market or any auntie, that is not your real aunt... I heard that today no woman shall be addressed this way, though :)). Besides it was hard to get serious baking ingredients in the groceries which is no longer a problem today. Anyway somehow Anggeum (Bean filling) Bbang (Bread) is my first batch of Korean pastries. I wasn't so happy about how the color of the bean paste turned out (namely as gray as the foggy weather in Germany now...), still I am satisfied to be able to produce these pastries whenever I like. I adjusted this recipe which includes helpful pictures. 1. Make sweet bean paste, see pictures here. 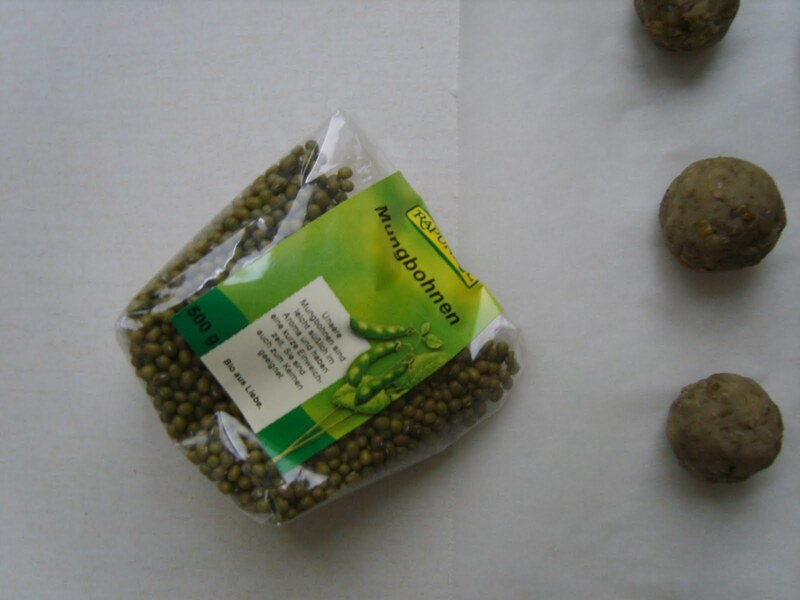 Soak 100 gr Mung Beans in water for at least 9 hours and drain. Cook the beans gently with 3 times the volume of fresh water. When they become very soft, pour off the excess water and fill in the double volume of fresh water. Puree the beans. Add 50 gr of sugar, 1/2 tsp salt and continue to cook gently until most of the water evaporates. Let the paste cool down. Mix 220 gr white flour, 20 gr sugar, 2 gr salt, 3 gr dry yeast in a bowl. Mix 120 ml milk, 1 egg (take out 1 tsp of egg yolk for later) and 12 gr melted butter. Pour into the flour mixture and knead well. 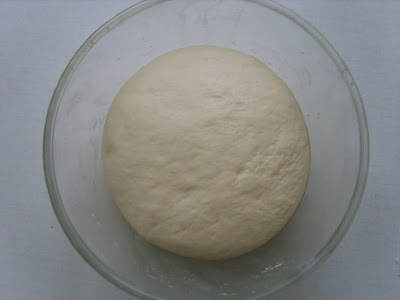 Let the dough rise for 60 min. 3. 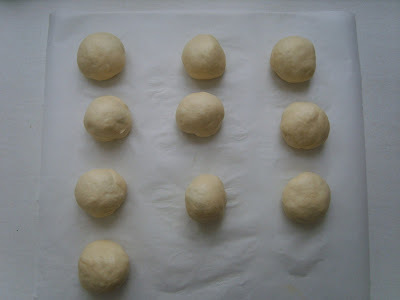 Knead the dough well and form 9 balls out of each the bean paste and the dough. 4. 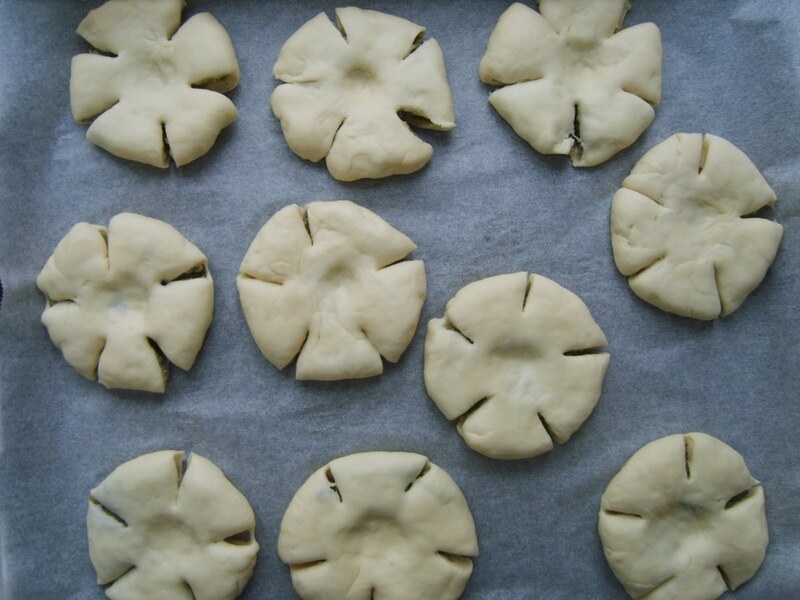 Incorporate the bean paste into each dough ball, then flatten it. 5. 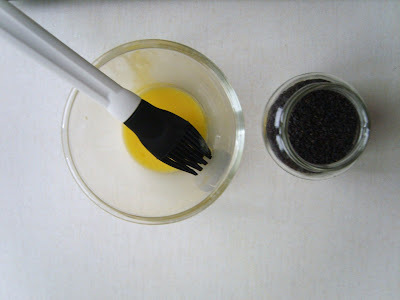 Cut and form according to the picture, coat with egg yolk and a little milk and sprinkle with black sesame seeds in the middle. Let raise for another 30 min. 6. Bake in the oven at 180 °C for around 20 minutes. Das ist ein tolles Rezept. Ich mag ja so gefüllte Sächelchen so gerne. Das mit dem Einschneiden hab ich so noch nicht gesehen. Sorry, die Links scheinen zwischenzeitlich dicht gemacht zu haben. Hier ist ein anderer Link mit Bildern, wie man eine Bohnenmasse herstellt.